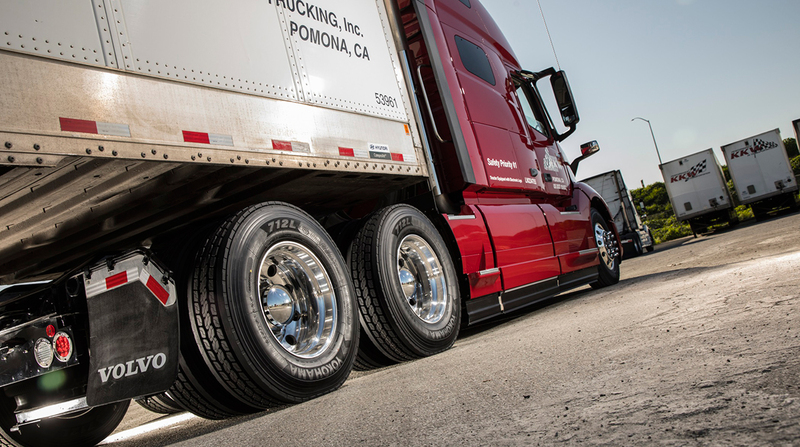 ATLANTA — Yokohama Tire debuted two new SmartWay-verified, low-rolling-resistance tires at American Trucking Associations’ 2019 Technology & Maintenance Council annual meeting here March 19. Manufactured in Yokohama’s plant in West Point, Miss., the 712L longhaul, drive tire will be available April 1 in sizes 295/75R22.5, 11R22.5, 285/75R24.5 and 11R24.5. “The deep-tread 712L offers advanced wear resistance, top-tier fuel efficiency and traction, and tough, durable construction,” Tom Clauer, Yokohama’s senior manager of commercial and OTR product planning, said in a news release. Clauer added that the 114R UWB is the successor to the RY407 UWB and will be available later in the year in size 445/50R22.5. The two tires are among 14 models the company displayed at TMC 2019, which was held March 18-21 at the Georgia World Congress Center.